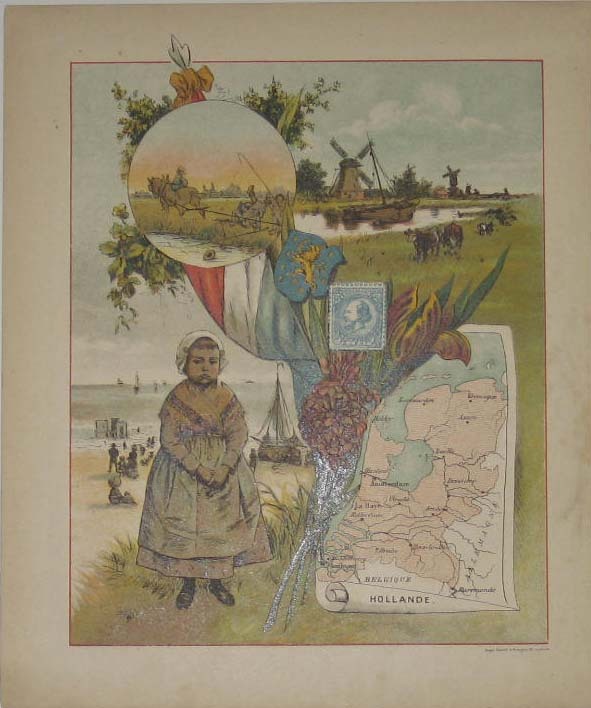 Nice lithograph print with in the bottom corner a map of the Netherlands as we know it now. 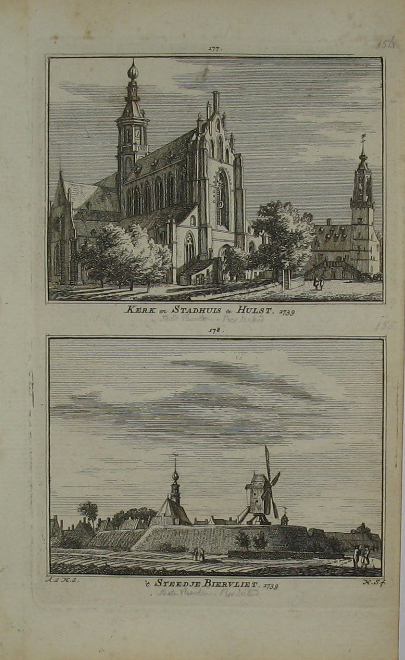 Top right a scene of a windmill with a canal, circle above a comic scene of a horse pulling a vessel and running over two fishermen. Left from the map a girl in costume.